Today we’re joined by Tim Fowers, designer of the hit game Wok Star, and the new game Burgle Bros., which is on Kickstarter right now. Tim, thanks for joining us. It’s a cooperative heist--basically “Ocean’s 4.” A ragtag team of thieves that have to stealthily infiltrate a 3-story building, crack 3 safes, and escape with the goods. If anyone gets caught, everyone loses. Where did the inspiration for Burgle Bros. come from? Thematically, obviously heist movies. But non-thematically, a lot came from Forbidden Desert. What is it about co-op games that interests you so much? I can playtest them forever. There is a positive energy around co-ops that make them a joy to playtest them with people and see them struggle together. High fives at the end are awesome. 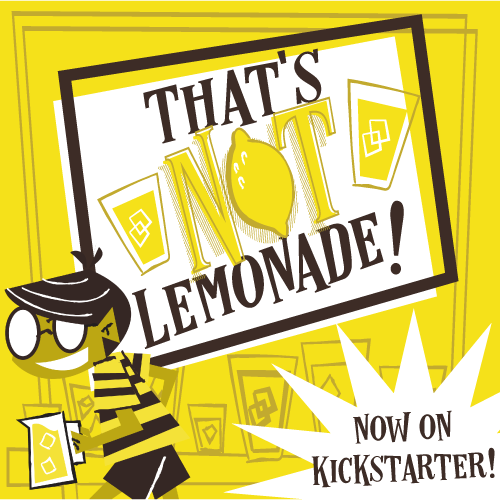 What did you learn from your first Kickstarter campaigns that you’re implementing here? Get print-and-play out early. Engage the press. Give a solid value to the backer. Listen to feedback and engage the community in design. How did you first get into the hobby? Settlers was interesting, but Puerto Rico and Power Grid really impressed me with their elegant systems. Started making videogames about the same time. I think the simplicity of boardgames got me thinking I could make games. Eclipse, Dominion, Galaxy Trucker, Imperial, Tigris and Euphrates. How has your faith affected you as a designer or a player? Helps keep me humble. Know that it’s not me behind any success I have. When I come up with an idea, I feel an obligation to get it out there and share it with people. If it was given to me, then it would be selfish to not share it. What advice do you have for people looking to self-publish a game? It’s a lot of work, but it’s really the only path to a sustainable income. Don’t distribute your game or sell it at wholesale. Sell directly to customers and stores. Games do spread, just at a slower rate. People have to play your game with someone, so be patient and don’t over-print. What’s on the horizon for you as a designer? I have a co-design with David Sirlin coming soon. Hopefully some mobile versions of my games. Lightning Round! Five quick questions--give us five quick answers! Rook. Makes you feel like you’re coaching your team through the alarms. Star Wars VII: excited or nervous? Favorite video game at the moment? Always wanted to go to New Zealand. Thanks for talking to us, Tim! You can check out the Kickstarter for Burgle Bros. here. And we'll have a preview up on Friday. (Spoiler Alert: It's fun!) Thanks for reading!